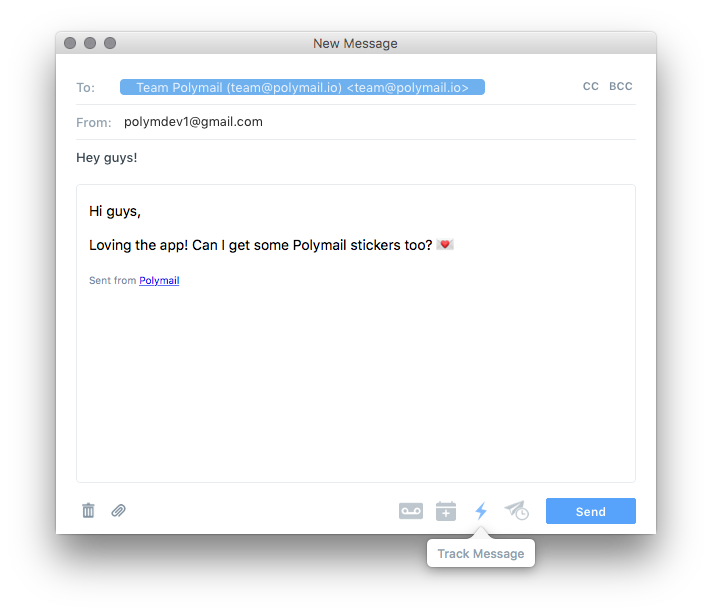 To send an email message with tracking in Polymail, select the blue lightning bolt ⚡️ icon when composing a message. Your message will then be sent with tracking enabled and you'll receive a notification when the message is first read. You can even choose to receive a notification every time the email is opened! You'll be able to see each time your email is read in your Activity Feed and by hovering over the lightning bolt icon next to a message. Once your message has been read, you'll see the lightning bolt icon change to blue.